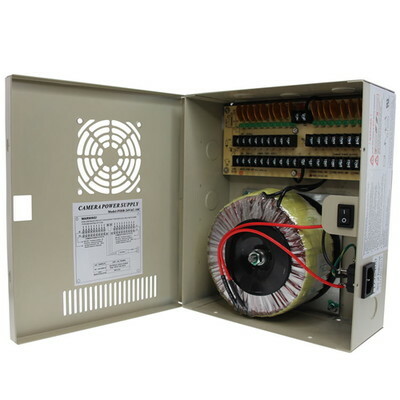 This 24V AC power distribution box will give power to 18 of your 24 Volt AC devices. Each of the 18 power outputs has its own power LED light that will allow you to monitor each individual power status. The box's fuse-free design prevents having to replace burned fuses.There is a heat sensor built right into the power supply that will activate the fan to keep the box from overheating. This power box is easy to install and will leave your installation looking clean and organized.